Discussion in 'Knives' started by YukonGlocker, Apr 23, 2016. I've been carrying a Benchmade 940 for several years now. This may be my favorite EDC knife ever. What's your favorite? carried a first production 940 for about a decade, then went to an izula during the week week, and an ESEE 3 on the weekends. still carry that 940 sometimes, though. I carry a case stockman and a cheap rem fast knife, the postage cost more than the knife. It gets very sharp, holds a edge, and sharpens okay. If I brake it doing something stupid oh well. I used these two for field dressing my deer also. I switch off between a microtech Godson, a Kershaw Blur and a CRKT that I have no idea what the model is but I know it cost me about $15 shipped :-). Benchmade 940 or 943 most days. Spyderco Tenacious or Boker Klashnikov on occasion. I've owned a TON of knives and hands down my favorite is the Benchmade 805 TSEK. I would buy another if I could find one, just to have a backup. 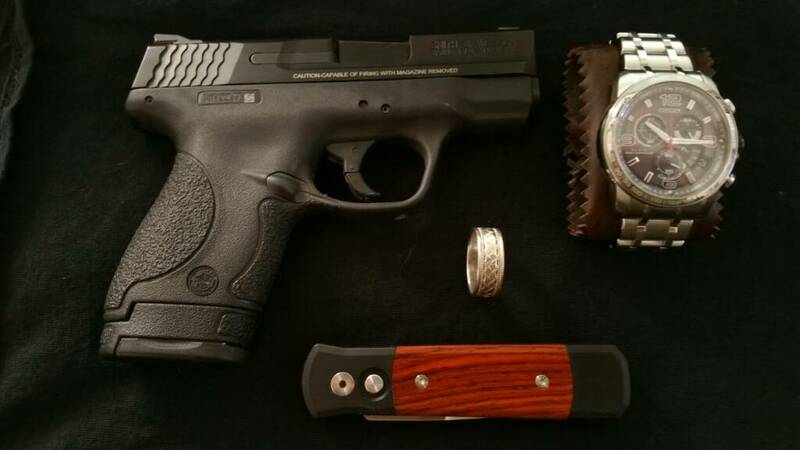 I carry a Leatherman Juice S2 daily and a Spyderco Byrd Cara Cara 2 in all stainless when on duty. Sometimes I carry a Victorinox Pioneer SAK too. I actually prefer the tools on the Vic over the Leatherman, but working on a college campus, I use the Leatherman's pliers quite often. If nobody here has ever considered the Byrd series by Spyderco, you really should give 'em a chance. Awesome little blade for not much deniro. I think I paid around 26 bucks for mine and it's all stainless. I didn't really like the look of their plastic handled models. 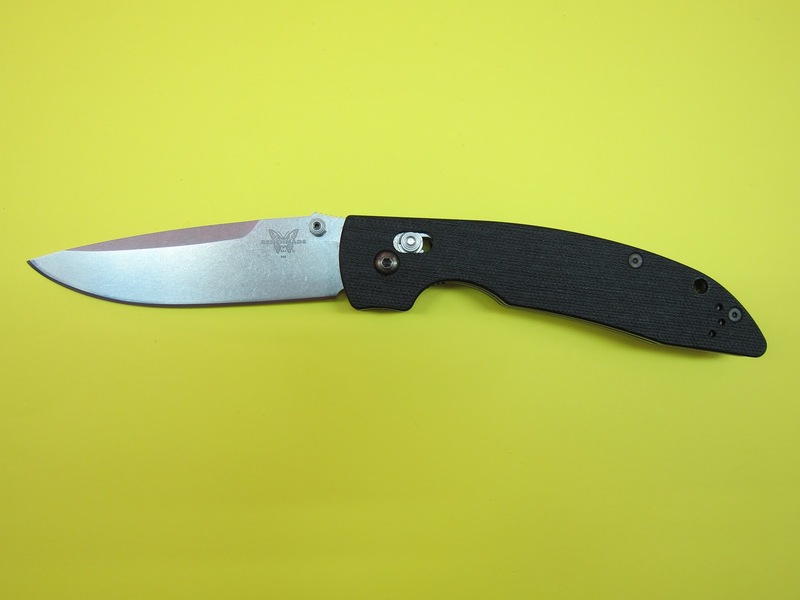 The Cara Cara 2 is the equivalent to the Spyderco Endura. Really and truly worth every penny. Ive carried this little 2 blade buck knife for a long while and its great for cleaning fingernails and light duty cutting. 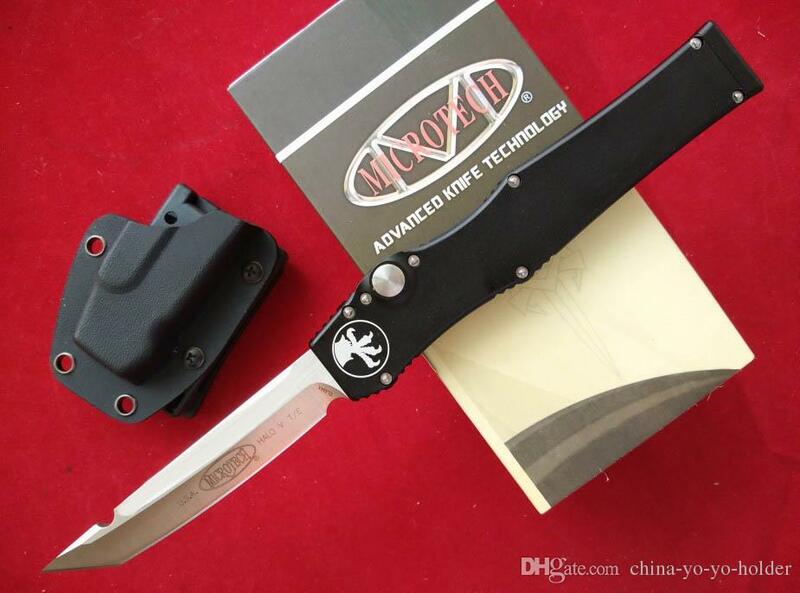 I just bought a microtech OTF auto clone to EDC so we will see how I like hauling a sword around in my pockets. My grandpa gave me that buck knife when a kid. I call it my dress up knife to be worn when wearing my suit. Kind of like a BBQ gun. Only carried for special occasion. The Benchmade 940 is also my favorite carry knife but I've been carrying the Benchmade 4300 CLA for a few months now. I like the auto but if I could only have one it would be the 940.